In addition to continuous on the job training, the majority of our staff has college degrees in construction or related fields. Our employees are cross-trained in every aspect of our business, which has led to more efficiency of time, money, and resources. Typically, the same group of people will be seen from the start until the completion of a project. Our attention to small details often sets us apart from our competition. Since our inception in 1997, Tri-Pups, Inc. has been involved in hundreds of projects including retail and commercial office space renovations; home additions; kitchen, bath, and basement renovations; exterior makeovers, etc. We have also completed thousands of small handyman type projects for our residential customers and building maintenance for our commercial customers. Most of our employees have been with us for many years, and we are supported by similarly positioned outside trades (sub-contractors) when needed. Designing an addition, a kitchen or bath, a basement renovation, or a commercial office space layout is something that we do well. We utilize several software programs to create drawings that allow our clients to visualize what the space will look like once completed. Tri-Pups is excellent at problem solving. Dozens of people have called us, after bad experiences with other Contractors, to fix the problems that their Contractors couldn’t or wouldn’t. Tri-Pups rates are on average 10-25% lower than similar companies. 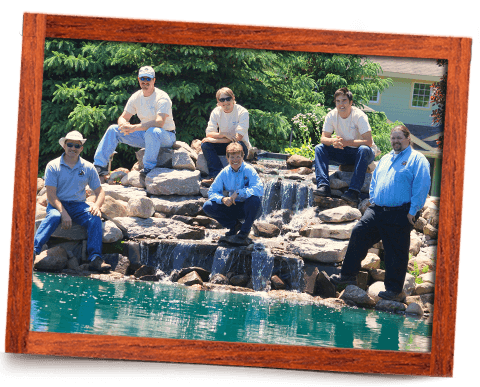 We are a small company so we can keep our overhead costs low without sacrificing the quality of our work. We do our best to come to the job prepared everyday. Whenever possible, we will work until the job is done rather than leave at a certain quitting time to return at a later date. Your project will be of top priority until it is completed. You can trust that Tri-Pups won’t provide you with a quote and then expect additional payments for items that were purposely omitted within the written quote. Unfortunately, this is a common problem within the construction industry. Remember the old adage “The sweet smell of a cheap price is usually overwhelmed by the stench of a badly executed job”. Often the company with the lowest quote will look for ways to make up the difference such as cutting corners, using inferior products, or finding some other way to raise the bottom line. We understand that the best way to raise the bottom line is to establish a long-term relationship with our customers. That can only be achieved by performing excellent work everyday and completing projects on time and within the expected budget. Over 50% of our past customers have been referrals from other customers. We clean our jobsites everyday. We don’t expect you to have to live or work around construction debris, dust, and dirt. We make sure that the jobsite is organized and clean, especially before we leave for the day. We try to minimize the disruption to your life as much as possible. We believe in discussing your project as much as necessary so that you feel comfortable with every step of the project. We won’t leave you wondering what time we will be at your home or business. We show up, at the time we mutually agree upon, every single day we are working on a project. We’ll call you if we are going to be more than a couple of minutes late. Tri-Pups, Inc. is licensed as a Builder by the State of Michigan, License No. 2102139126. We are fully insured for worker’s compensation and general/auto/umbrella liability. We will be happy to provide you with a copy of our Certificate of Insurance and our Builder’s License. Please don’t become a victim of an uninsured, unlicensed Contractor as you could be forced to pay for their medical bills should they be hurt on your property while completing the work that you are paying them to do. Typically, these people do not have the training or tools to do the job correctly. We take pride in our work and pay thousands of dollars each year for insurance and training to guarantee customer satisfaction. We accept several payment methods including cash, checks, PayPal (3% surcharge added), and credit cards (3% surcharge added). In addition, local lending institutions have partnered with us to provide financing for larger projects. We have also coordinated with SuperMoney to allow our customers to apply at over 10 leading lenders via ONE application and get multiple pre-approvals in just seconds.To determine how much you may qualify to borrow, click on the link below. The Royal Oak Chamber of Commerce. The staff of Tri-Pups has been very actively involved with the ROCC since 2001. In 2008 the ROCC honored our own Chris Adamski and Debbie Aliotta with the Volunteer of the Year Award.